Our Natural Stone Restoration process involves resurfacing the stones with the diamond abrasive program to remove scratches, abrasions, etches, stains and traffic patterns. There are several methods and products used to make quick and most times permanent repair to your stone. 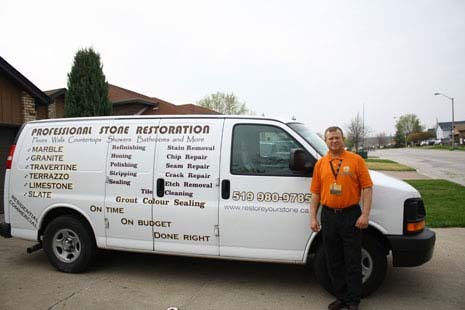 Each restoration project we complete by sealing your stone for long lasting protection. 4. 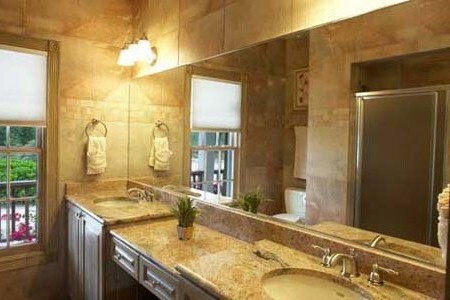 Creates the authentic look and feel of natural stone. Polishing is important part of restoration process. After removing all scratches and etches from the stone, we start to bring your stone to desired depth and clarity. That means being able to see light bulbs when looking into the floor from above or see doors frames clearly when looking across a surface. It is a standard practice in our procedures to bring the entire floor to the conditions the customer is looking for-Semi gloss or High gloss polishing finish. To achieve this results we are using best high quality polishing pastes. Coating removal is one of the most difficult and challenging projects. The are so many different acrylic polymers, lacquers, polyureas, urethane, wax and other coating homeowners apply to their stone. In most cases it is because the stone floor was not shiny enough or scratched all over and they didn't know how to deal with thous issues. We have a solution for both - textured and smooth materials. Our coating removal process is designed to work over a short period of time with the proper protection of your health and investment. Sealing is one of the most important things you can do to protect your natural or man made stone. When you install a brand new stone or buy a house with the existing stone you still need to seal it to maximize its life. For most natural stones we use a penetrating sealer which sinks under the surface of the stone protecting it from oil or water stains minimizing the cost and time for cleaning and maintenance. 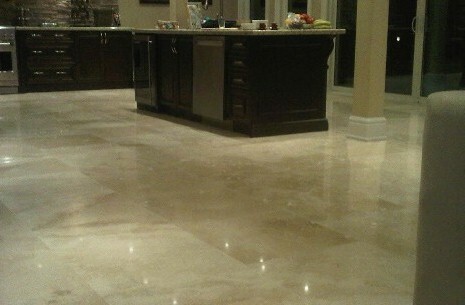 This process doesn’t affect the shine and natural appearance of the stone, like waxes and topical sealers do. For man made stones we use clear or re-coloured sealers. Our 50% solid sealers emulsions are ideal for sealing exterior conventional, stamped, decorative and other forms of concrete with a broadcast of blended colours. In all cases before sealing we start with stone surface deep cleaning oil, rust removing and restoration, refinishing if needed. 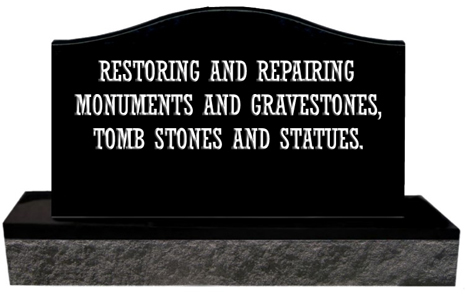 We also specialize in restoring and repairing monuments and gravestones, tomb stones and statues. Our work is guided by using the appropriate materials, providing our clients with greatest experience we have in this field, using the proper tools. We provide variety of services that help families properly maintain the memorials of their choice. Natural Stones are very soft and can be fragile and easily cracked or scratched. We repair the most of the damages, made to your stone. There are several methods and products used to make quick and most times permanent repairs to broken stone pieces or deep scratches. Special polyester or epoxy mixed with matching colorant is used to repair broken pieces such as table tops, counter tops, vanities, statues, fireplaces and other accent pieces. We use a stone epoxy mixed with colorant to match the general surface color. Then glue the broken pieces together, diamond grind and hone the epoxy residue and bring the original shine back by polishing the area. 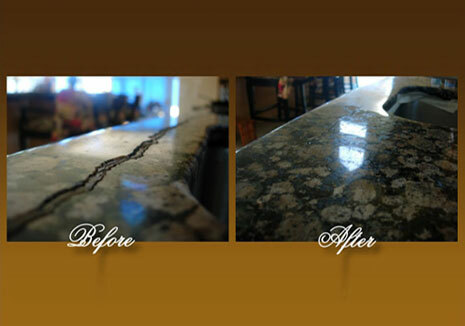 Deep scratches on stone can be repaired by mixing a stone epoxy with colorant if needed. This type of epoxy comes in liquid form and takes longer to set and cure. Light scratches can be removed by using diamond abrasives or stone sanding paper and polish to suit. Floors that are heavily scratched with foot traffic are restored using special floor machines equipped with diamond pads. This process is more involved and requires an expertise.